(Issue 81) We don't send spam. We won't give out your email address. 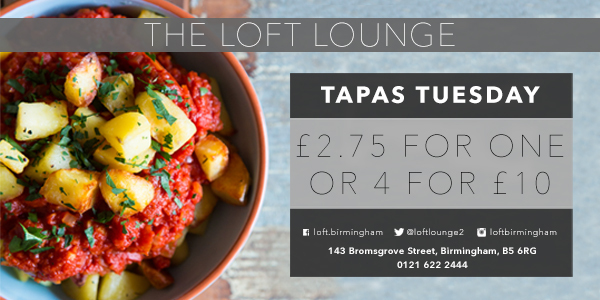 If you're anything like us, a panoply of social media coverage has Brum's first Foodies Festival squarely tattooed on your consciousness. But, with such a rich food offering coming from every corner of the city, why should you care? This week we go next level on the three-day soiree (starting May 15 - discounted tickets for our readers here) and unearth who will be taking to the green and pleasant land of Cannon Hill Park. 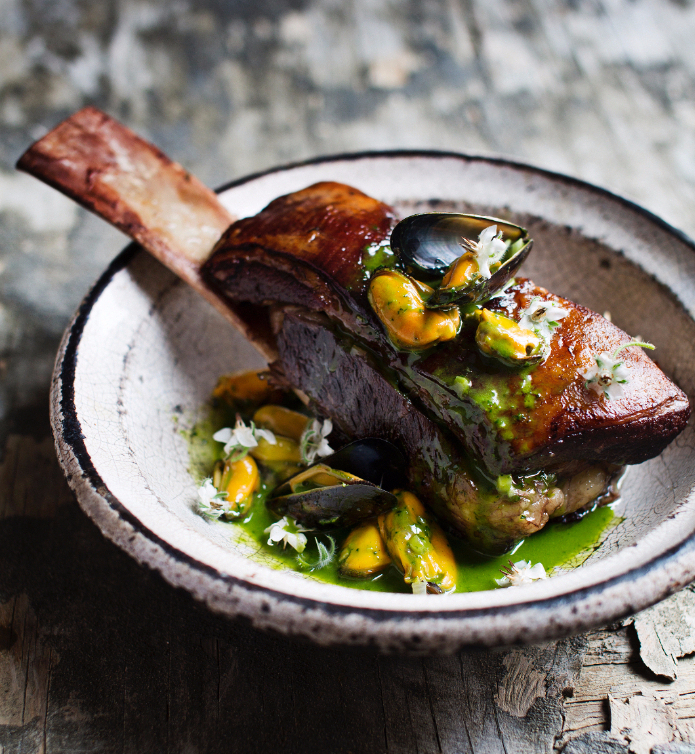 As part of the all-star cast taking care of proceedings at the festival's Chef's Theatre, Glynn Purnell will be giving a masterclass on how to cook up his utterly sumptuous take on surf and turf - short rib of beef with mussels, parsley and wild garlic. 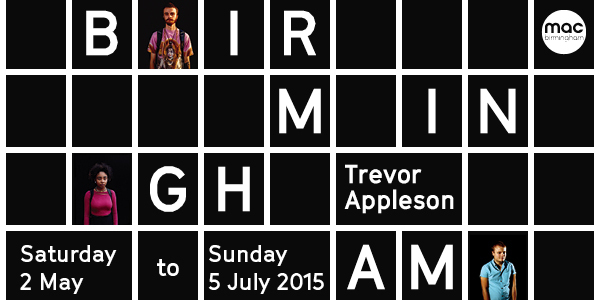 Also making appearances over the weekend will be Matt Cheal of Simpsons fame and Aktar Islam (Lasan, Nosh & Quaff). 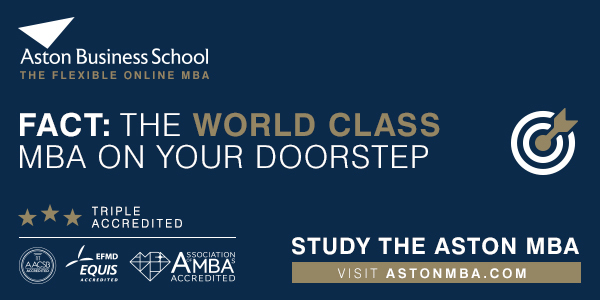 Tickets are first come, first served and included in the cost of entry. 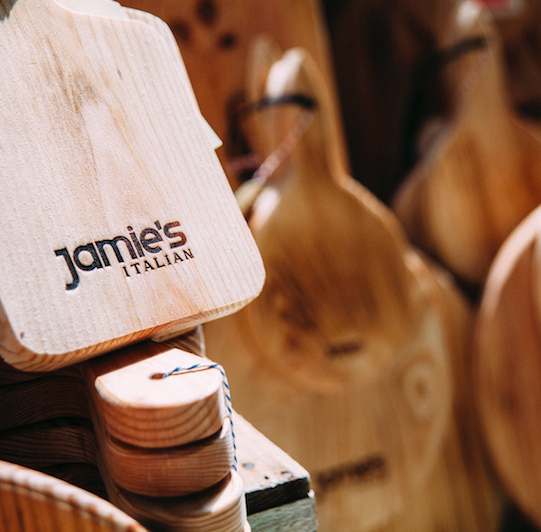 As well as making available a whole heap of merch for purchase (including the planks pictured), Jamie's Italian will be serving up porchetta - that's a wildly tasty take on boneless roast pork to you and me - with salsa verde, in brioche buns. And in a nod to the sheer wonder of Sicilian lemons Jamie's Brum team will also be offering fresh lemonade, probably a lot like what Nonna used to make. Those clever chaps at Andersons have been going through an intensive eighteen month development process all in the name of creating the best selection of burgers possible. 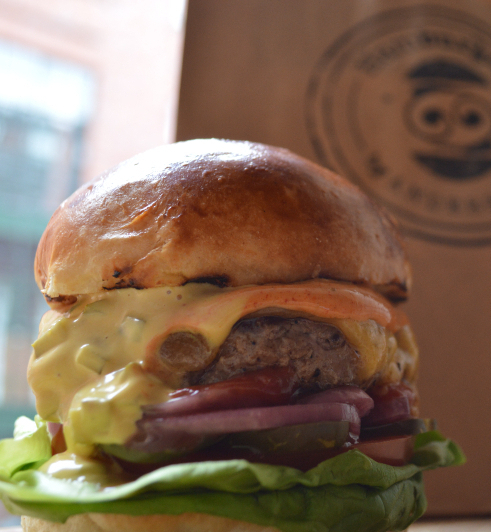 And guess where the very first place you can get your chops round them is? We're hearing seriously good things about The Big A (pictured), which includes Andersons' super secret smoky chipotle ketchup. We'll be the ones in the queue, repeatedly. Representing the region's Jamaican street food offering is the West Midlands Jerk Centre. 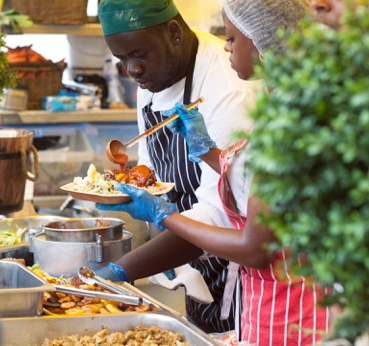 Boasting traditional spices flown in from the Caribbean, expect tender joints of chicken, grilled and smoked slowly on one of the team's giant jerk pans. The street food regulars are also known for their super-salty ackee (think cod, green bananas, dumplings and yams). 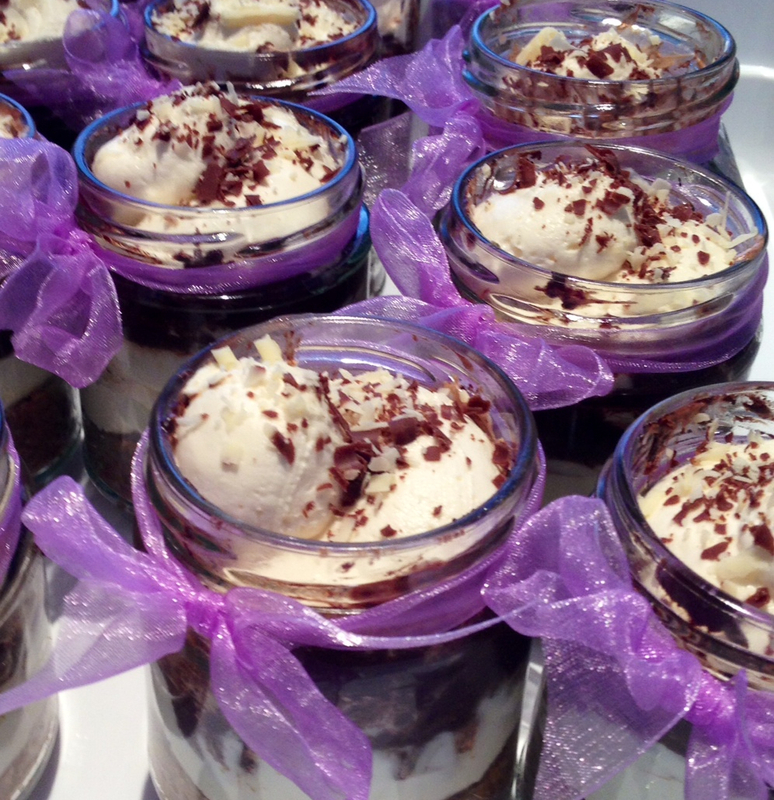 Together with her oh-so-popular salted caramel brownies, Mrs Mills Makes Cakes will be bringing a selection of jam jar desserts to Cannon Hill Park including the chocolate swirl cheesecake pictured and the super sharp lemon posset (£3.50 each). Also on offer at Mrs Mills' first three-dayer will be seven types of specially crafted granola bars, carrot cake, fruit cake and basically all the cakes. Win, win. 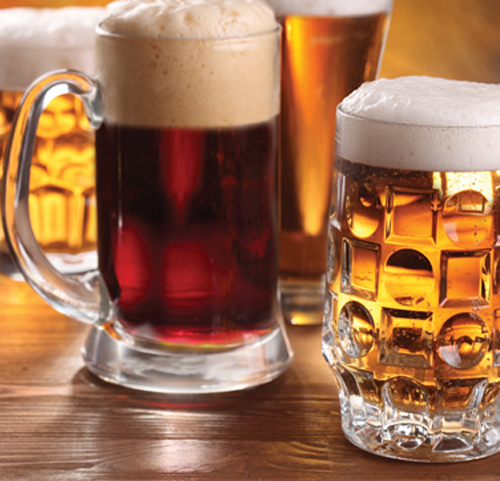 Anyone whose logo is a brain plopped into a pint, wearing spectacles has our undivided attention. 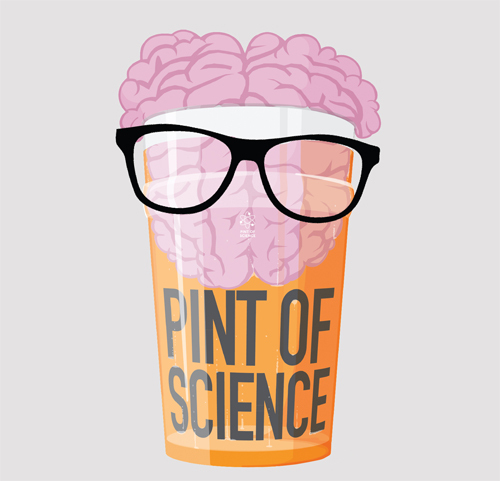 Welcome to a Pint of Science which is, essentially, a series of genuinely intriguing science discussions (May 18 to 20), removed from the laboratory and held in your top boozers. Expect frightening lessons about brains, robots and epidemics in the specifically non-frightening surrounds of Cherry Reds, Bodega and the Jekyll & Hyde. Tickets are £3. Birmingham Beer Bash is in-bound (July 24 and 25) and we're about to upset everybody. Ready? Despite a sea of stunning local beers at last year's event the brewery that really blew us away was Liverpool Craft Beer Co, and they'll be back. Expect casks, kegs, bottles and barrels of some of the very finest craft beer from all corners of the UK, served up at Digbeth's canalside Bond Co. Starting at £10, tickets are available here. Mulit-arts event Lichfield Festival lands on July 3 and, lasting ten days, is looking like a nice get-out-of-town option, particularly as top comedians Marcus Brigstocke (pictured) and Mark Watson will be providing the funnies at The Garrick on July 11 and 7 respectively. War Horse author Michael Morpurgo will be present, as will cellists Julian and Jiaxin Lloyd Webber, the City of Birmingham Symphony Orchestra and Bill Odie (not pictured). Our tight-fisted editor has limited us to 90 words, which is nowhere near enough to explain BE Festival. An almost adequate snapshot would be to say that it's a celebration of European theatre that takes over the Rep, from June 23 to 27. 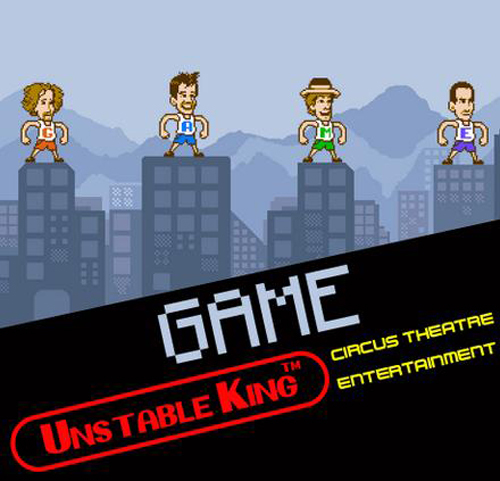 Alas, that leaves little space to tell you about circus/comedy team Unstable King and their show, Game. It tells the story of a group who realise they are actually only characters in a video game. We've all been there. We share one thing in common with artist 'Ingo': Neither of us ever touch any canvas with any tool. He, however, produces stunning art where as we produce, literally, nothing. The German genius pours his paint freehand onto a horizontal canvas creating denser and denser lines until finally the details emerge. Gravity and the flowing paint form the connection between his hand and the canvas in place of a brush. Once drawn no line can be corrected and that's the sort of pressure that, frankly, we want nothing to do with. 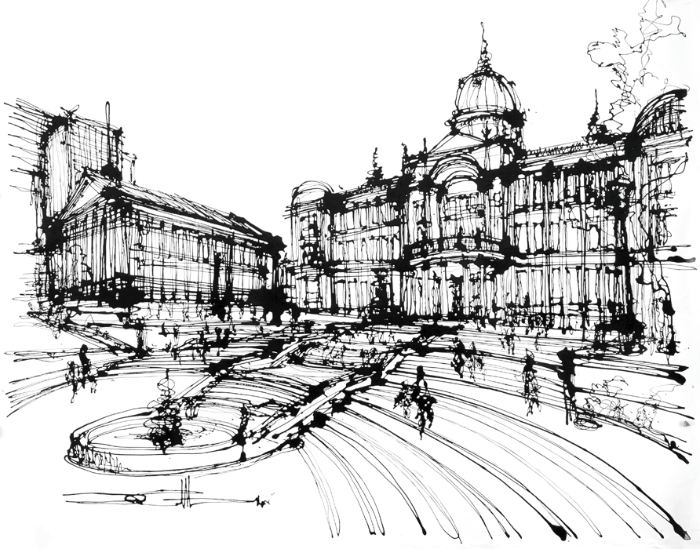 We like to look at the results though, particularly when Ingo has painted (sort of) Brum's Council House, Floozie and Town Hall. If you're rich beyond your wildest dreams or, perhaps, a wise investor, it's available to buy at Whitewall Gallery for £2460. Tell them we sent you and they'll knock off 0%. Carefully matching food with a drink that compliments what you are eating is nothing new. Actively and willfully pouring that drink in to a spoonful of soup, quite apart from attracting some fairly bemused looks, was an entirely novel one for us. 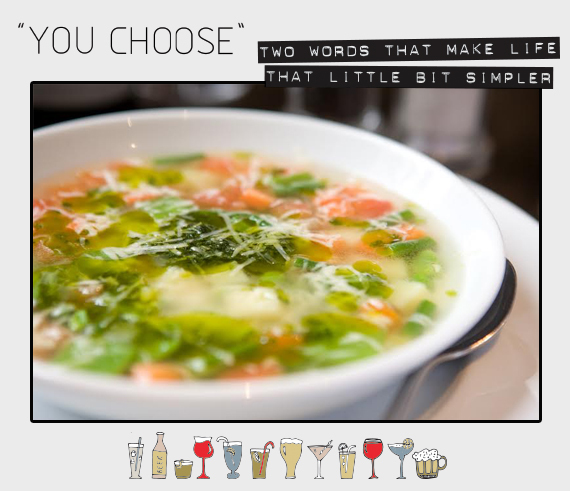 A playful, zingy and darn right tasty experience (enhanced particularly by a fresh basil and garlic paste), bring HdV's light minestrone soup to its very best with a glass of Turckheim Mayerling Crémant d’Alsace (£8.50). Both appearing on HdV's new, seasonal, al fresco menu, the sparkling pinot blanc is one of more than thirty-five pinots featured in the bistro's Summer of Pinot collection. Together with an appropriate amount of help, we've tried nine of the wines included and despite our usual preference toward red, were across the board impressed. We'll leave it to you to make the call on whether your wine stays in its glass or makes it in to your dish. No, it's not a hugely aggressive version of dodgeball - though - there's something in that, right? 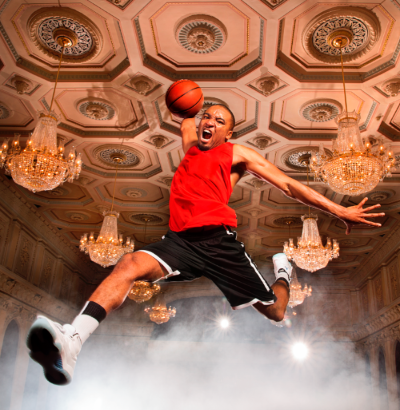 Following two sold out productions at the National Theatre, award-winning playwright, poet and performer Inua Ella has conceived and written The Spalding Suite, a new show exploring UK basketball culture that will combine original poetry with live beatboxing, music and movement. 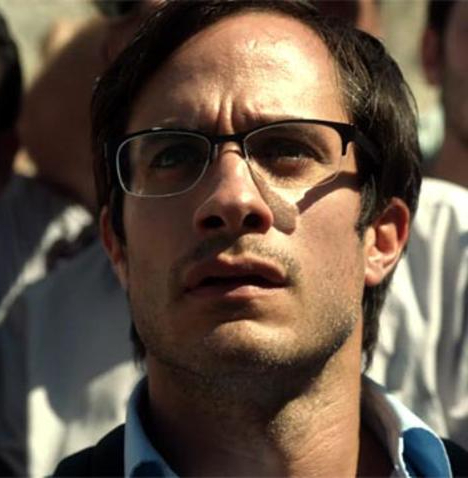 Inua’s poetry probes the friendship and camaraderie behind the sport, and is brought to life by what is said to be silly-good choreography, care of director Benji Reid and inspired by the physiology of the game. From May 14 to 16 at the Hippodrome's Patrick Centre. Tickets, at £12, are available here. And just remember, if you can dodge a wrench, you can dodge a ball. "You have to remember one thing about the will of the people: it wasn't that long ago that we were swept away by the Macarena."